Investment in research is a long-term strategic initiative of Grain Farmers of Ontario for the benefit of all barley, corn, oat, soybean, and wheat farmers. 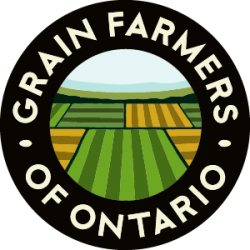 Ontario’s grain farmers have sponsored and participated in decades of practical research that has resulted in economic gains and improved agricultural sustainability for Ontario farmers and the Ontario environment. DUE DATE: Monday, July 16, 2018 at 4:30 p.m.
To be considered for funding, all project ideas must be submitted at the LOI stage. If new issues or opportunities arise after LOIs are due and warrant a rapid research response, please contact us and we will consider these on a case by case basis. Investment in research is a long-term strategic initiative of the Grain Farmers of Ontario. Our goal is to target our research, innovation, and knowledge transfer initiatives to enhance our farmer-members’ profitability. 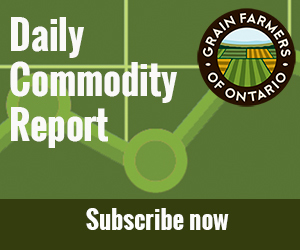 The updated 2019 Grain Farmers of Ontario Research Priorities are available online at http://gfo.ca/research/research-priorities/. At the top of this document, we have highlighted five high priority areas. We are still accepting proposals in all research priority areas, but the high priority areas will be given special consideration. The Research Project Database outlining current and past Grain Farmers of Ontario research investments can be found at http://gfo.ca/research/research-project-database/. Grain Farmers of Ontario has implemented a new process for funding which now includes a Letter of Intent (LOI) stage for the 2019 Call for Research Proposals. The purpose of the LOI is to allow researchers to convey a project concept with an estimated budget so that Grain Farmers of Ontario has the chance to screen project ideas and provide feedback prior to requesting the full proposals for successful LOIs. This approach should also make better use of researchers’ time developing full proposals by increasing the funding success rate of those project ideas reaching the full proposal stage. Each year a portion of the $1.8 million research budget is available to fund new projects. For our 2019 Call for Letters of Intent we will be accepting barley, corn, oat, soybean, and wheat project ideas targeting one or more specific priorities within our four broad priority areas as described in our Research Priorities document: Agronomy & Production; Weed, Disease & Insect Pests; Breeding & Genetics; and Crop Utilization & Crop Quality. It is important to express specifically how your research idea will benefit Ontario’s barley, corn, oat, soybean, and wheat farmers, and to use plain language when describing your project. Grain Farmers of Ontario strongly encourages partnerships among research institutions and with other funding agencies, where relevant. If you would like to discuss linkages with other funding programs, please give us a call. For your submission, please complete the Letter of Intent template found on this page. If there is confidential content within your proposal, please identify the sensitive content clearly with “Confidential” at the beginning of the section. If you have any questions or concerns, please contact Natalie DiMeo, Research Coordinator, at 519-767-4138 or ndimeo@gfo.ca.